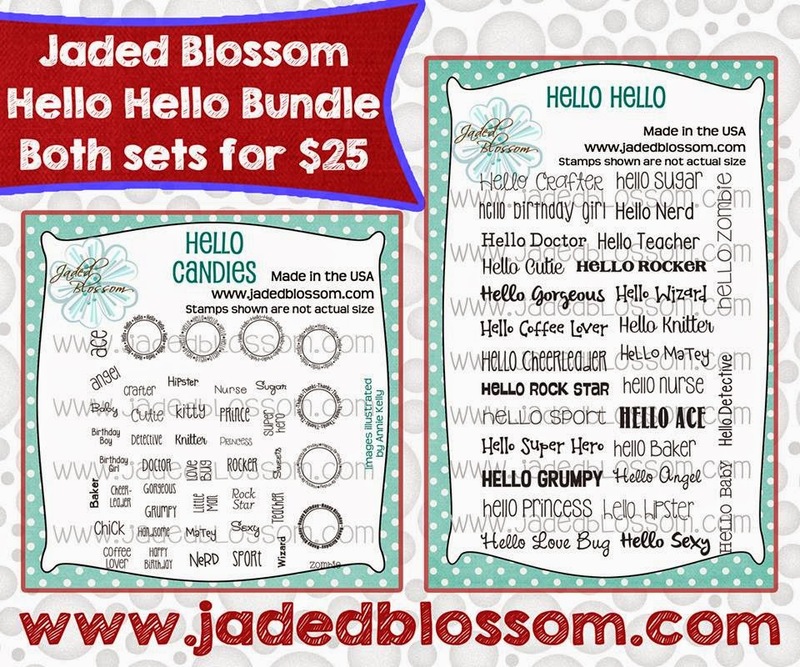 Paper Crafts by Candace: 2nd Annual Hello Kitty Blog Hop! LOL, I think miss Grumpy is my favourite! Thanks bloggers for an AMAZING HOP.. I have a cuteness hangover to nurse! The Grumpy Kitty is soooo my son! Amazing hop as always! Grumpy Kitty is adorable! The ball player kitty is lovely! Thank you for sharing! So many uses for Hello kitty, great projects. TFS. The ball player is adorable, but the grumpy cat is to die for! too cute! LOL! Grumpy Kitty is too much! Your Giants kitty so so cute! Perfect- I love "Grumpy Kitty".. Well done!!!! oh grumpy kitty! too funny! ha, ha, ha.....Hello Kitty as Grumpy Kitty.....that is funny! Without a doubt I am inlove with grumpy kitty! Too cute. Thank you for a Really cute HOP!!!! Both projects are great! Thank you for sharing! LOL Grumpy Kitty.. Too Cute! Ha ha love grumpy kitty! OK...now you've gone and stole my heart! I love Grumpy Cat, so your Grumpy Kitty project is my fave! What a wonderful idea! And Sporty Kitty is one cute kitty, too! Love the sequins! Never thought of using them. I Love Grumpies Face. You did such a great job. Love the Giants too! Too much fun -- love Grumpy Kitty (and Grumpy Cat)!! And your Giants kitty is adorable!! Thank you for such a fun hop!! Hello Grumpy and the Baseball Kitty are fanFreakinTastic! Awesome, awesome job! cute. thanks for sharing. love all the projects. Poor Kitty must have lost her baseball match. Better luck next time, Kitty. Love your work. Grumpy kitty so cute. What a fun blog. Everyone is so creative. Thank you so much!!!! Nawww... poor grumpy kitty, but love baseball kitty! I love hello kitty grumpy looks like me on a Monday morning! WOW!! Such a grumpy kitty!! the Giants is cute!! 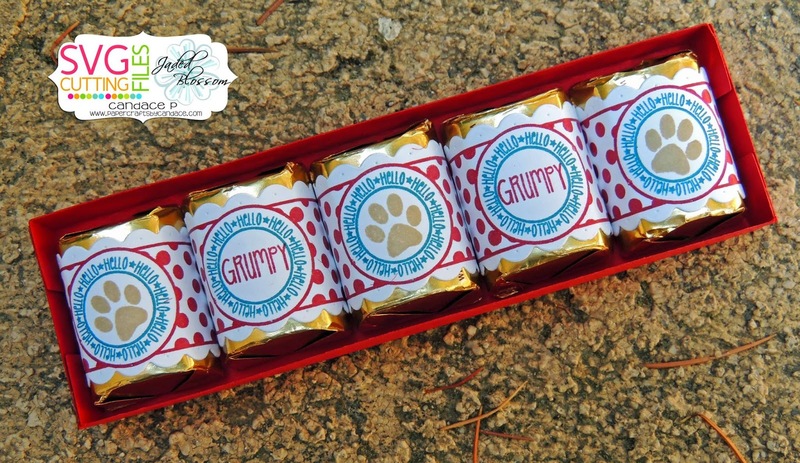 Love grumpy kitty - sure to put a smile on your face! both projects are awesome - thanks for a great hop once again! Gorgeous!, Grumpy looks like me with a lack of sleep LOL. 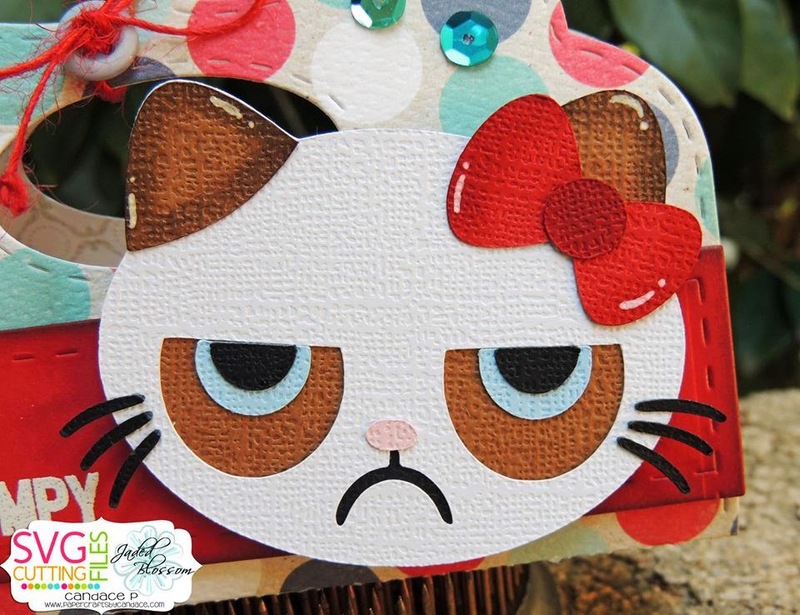 I can think of a lot of cards to send using this cute grumpy kitty! Grumpy Kitty is hilarious and I love her as a baseball player!! Cute!! Both of your projects are adorable! I just love Grumpy Kitty! He is so grumpy, he is super cute. Love both of your projects. Oh my, that grumpy kitty is over the top adorable! I'm dying! This is hilarious! What a great SVG! Loved this hop! Such fantastic projects! OMG! It really does look like grumpy cat. Great job. Both projects are amazing. But grumpy Kitty is awesome. hahaha!! What an amazing job!! Grumpy Kitty! That is the cutest one yet! Thank you! I like the SF Kitty. Not sure about the Grumpy Kitty. Love both of your projects! Grumpy Kitty is absolutely awesome and so is the Sports Kitty! Great job. What a PERFECT ENDING to a PERFECT HOP!! I gotta admit ... GRUMPY may have stolen the shoe ... and, with all the amazing projects I've seen today ... that's really saying something!! Great hop, I had a good time seeing everyones projects. Thanks for sharing yours to. Grumpy kitty makes me laugh. 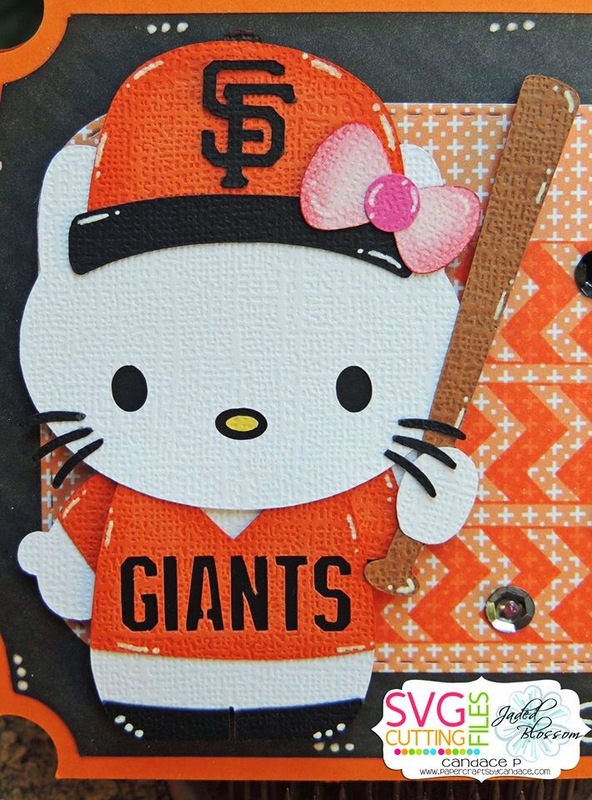 I can't wait to use SF Giants Kitty! Amazing details on both! Oh i love this one, thank you for sharing. love both projects but my favorite is grumpy. grumpy are you kidding me ? i love it! grumpy kitty is my husband to a T. the sports one will be great for my son. Both are awesome. Great job. Grumpy hello kitty is awesome!!! And I am a hige baseball fan so I can't wait to get these files & get busy!! Love both of these! Grumpy Hello kitty is adorable!! Hello grumpy!? Omg! I will be using this file often! Love it! Lol! GRUMPY KITTY is Great!! Great Job to all you ladies and a great Hop!! 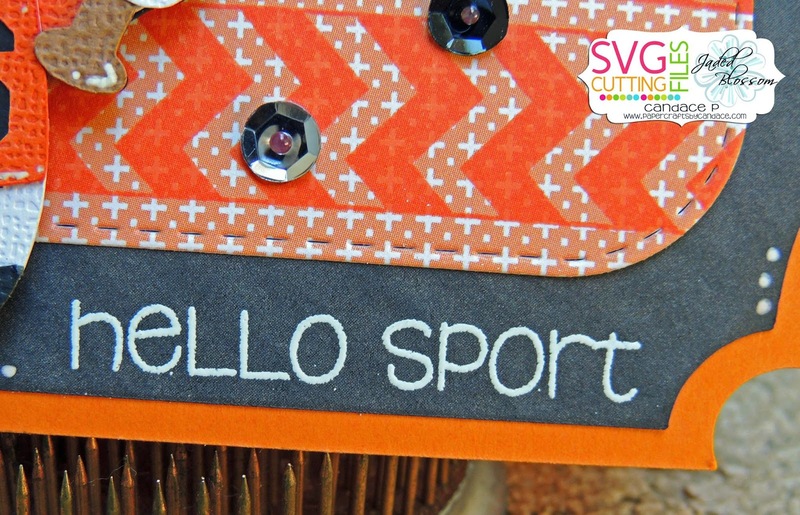 So many cute ideas, I've had a great time looking... Now to start trying a few of these ideas!! Love everything I've seen! AS always! Thank you! Both of these are fabulous - love Grumpy Kitty. I've never seen a grumpy kitty before. Maybe she needs that cup of coffee that she had a few blogs back . . .! Love it! Thanks for the hop. Fantastic projects! Grumpy kitty ..great end to this awesome hop. I LITERALLY LOL'ed at the Grumpy Kitty! TOO FLIPPING FUNNY! Great job on the both projects!!!! That grumpy kitty is so funny! Love both projects! Great project ideas! yay!!! awesome job! love love love love love grumpy kitty!!! LOL HELLO GRUMPY Kitty is ADORABLE!!! so darn cute. very cute sports kitty too!!! great projects thanks for sharing! Grumpy kitty is so adorable! Love the giants kitty too! I was hoping for grumpy hello kitty! 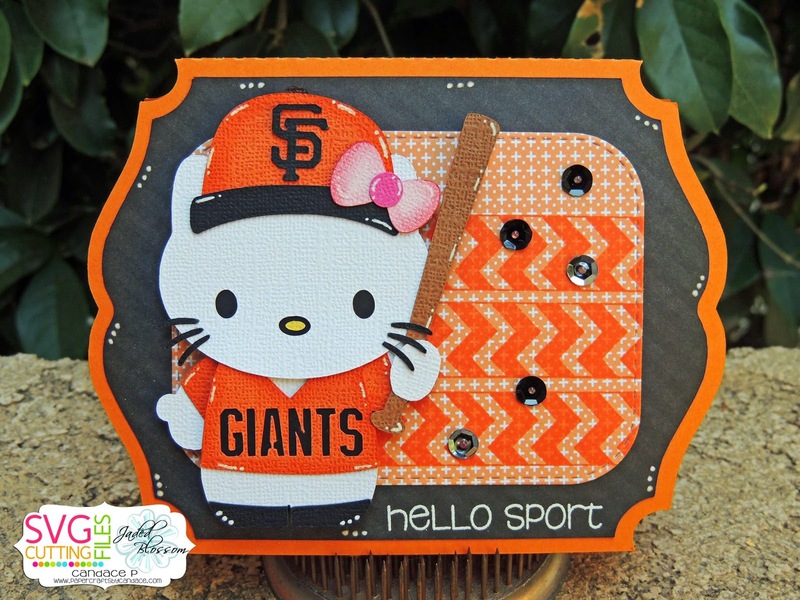 the baseball hello kitty is great as well! great blog hop! Very nice project, thanks for all your hard work! Hahaha I just love grumpy one! Been a great hop! Hahahahha Love Grumpy Cat!! Cute! Oh that little grumpy brings a smile to my face so early in the morning! Your San Fran card is too cute!! Wonderful work thank you for sharing this with us. LOVE Hello Kitty as "grumpy kitty". And the baseball kitty is great! Thanks for making this hop awesome!!! Both your kitties are so cute!! Thanks so much for sharing. OK, you saved the best for last. We call the hubs grumpy so this will be perfect and of course, we're Giants fans. LOVE, LOVE, LOVE everything I saw. OMG! Grumpy Kitty! Love it! Both are great, but grumpy kitty is hilarious!! I love grumpy cat! SF not so much ( but it is cute)! The Grumpy kitty is amazing!! The grump kitty is the best! I love her! Smiling! I have someone in mind for that Grumpy kitty lol. Cute! Your Giants kitty is adorable! Love all your details! Super job on both! Your so talented! Love it! I have a grumpy kitty at home LOL. Super cute. Love grumpy kitty! The grumpy kitty made me lol! Love it! love both projects, love the grumpy kitty made me smile. i know a few people i can make this for. Brilliant hop yet again. Grumpy Kitty makes me laugh. Definately a fav. Thanks again for all the hard work that goes into these hops. I just love that grumpy kitty!! ohhhh enojada !!!! aun así bellísima !!! great job!! out of all the projects that have seen this grumpy cat has got to be the cutest!! Such cute projects! Love the grumpy kitty. Awesome hop! The sentiments are great. Ba ha ha ha! I think I love grumpy kitty the best of all!!! Ha ha ha ha grumpy hello kitty is awesome!!! GRUMPY kitty is a must have!! LOVE LOVE LOVE It!!!!! 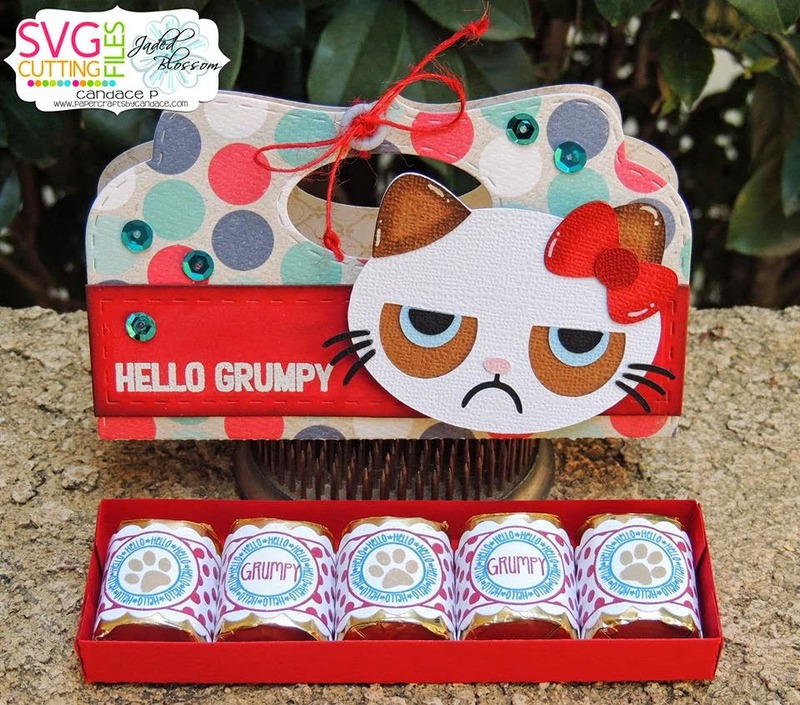 Beautiful projects, Grumpy Kitty is my favorite. Grumpy Cat is EVERYTHING! Your projects are fabulous! Well done! <3 Grumpy Kitty and Sports Kitty, too. I have done a few hops before and found them sometime hard to follow. But this hop has been a breeze. Plus the HK cut files are all soooo cute. Can't wait to get creative with them . Thank you all. Aww I love the grumpy kitty. So darn cute. Also love your SF Giants HK fan. FANTASTIC projects from all the blogs! Totally enjoyed this 2nd Annual HK hop. Grumpy kitty is so cute! I THINK THIS IS MY FAVORITE OF ALLLL! THAT GRUMPY KITTY IS THE BEST!!!! LOVE IT CANDACE! Oooo!Love the baseball kitty!!! Grumpy kitty is hilarious! Awesome! Really love the baseball one! 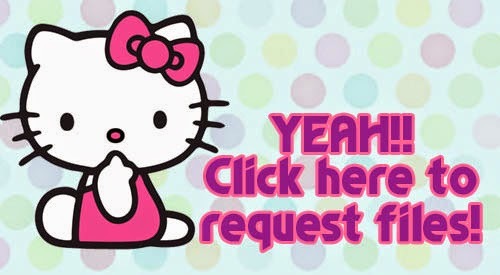 Grumpy Hello Kitty is my favorite! lol LOVE LOVE LOVE THESE!! Thank you for the cute projects. I am going to be busy creating all of these cute projects! OMG - love love Grumpy Kitty!! He is awesome. Your Giants Kitty is cute too! Thank you for sharing and for a fantastic Blog Hop! Love me the grumpy cat! Loved the hop.. Cheers to JB and SVG Cutting Files!! HAH, grumpy HK...too much freaking cuteness! She's perfect! hahahah grumpy cat. :) LOVE IT!!! Yay!! Cute files!! Love grumpy cat! !